1 YRS Kunshan Tengyu Supply Chain Management Co., Ltd.
Q: Can I visit your factory9 A: Yes,welcome to visit our factory. Q: Have goods in stock9 A: Most of orders are customized,no goods in stock. Q: Can I choose other colors9Customized size9 A: Yes,we could do according to your request. 1 YRS Shanghai Hom-Steel Industry Co., Ltd.
Are you a factory or a trade company9 We are a factory, so we can provide you competitive price. How long will it take to execute my order9 This depends on the size and complexity of the order. Please let us know the quantity and your special requirement of the items so that we can advise a production schedule. 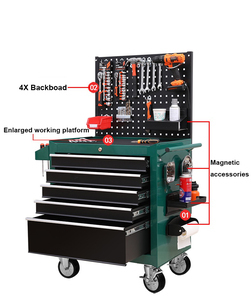 22.5//24.5 kgs Payment&Delivery Infomation Name Tool Chest Payment term T/T,LC,Western Union Package Mail order package Lead time Around 23-45days Specification: 1. 0.5-0.6mm industrial cold rolles steel 2. 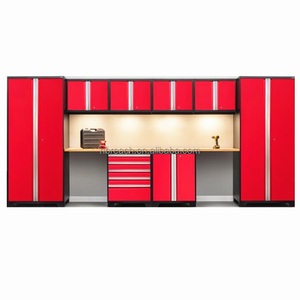 Red gloss powder coating finish 3. 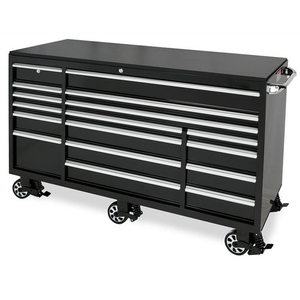 5pcs of ball bearing sldie drawers 4. Alum. drawer handles with non-slip mats 5. 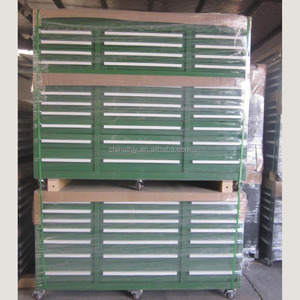 4"x1.25" casters, 2 lockable swivel+2 rigid 6. Central locking system with cylinder lock 7. Metal round side handles with end caps 8. Package: 5ply brown carton+PE bag+foams or Mail order package Product Show Cold Roller Steel Metal Tool Chest Roller Cabinet With 5 Drawer Other models for choice Package: Produce process Delivery way -Our service Before sale: Provide product information, market research forecasting, product customization, product processing, consultation and other services for your convenience. After sale: 1. Technical training on according to customer requirements; 2. We promise replacement under warranty; 3. We promise to supply the maintenance spare parts; 4. Regular call back or visit customers; 5. On time response to mail and phone calls of your complaints or consultation. Finish Durable Electrostatic powder coating. 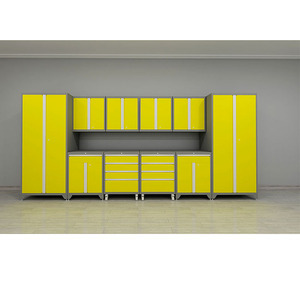 &middot; Mobile caster for easy moving. 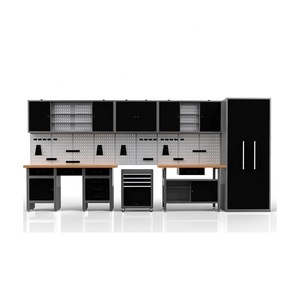 &middot; With huge loading capacity for each drawer. 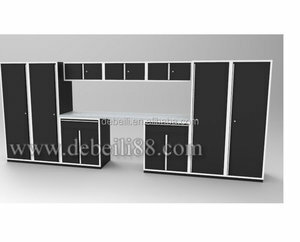 Alibaba.com offers 25,440 steel tool cabinet products. 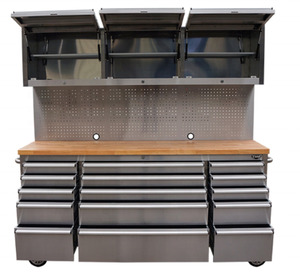 About 58% of these are tool cabinet, 6% are filing cabinets, and 1% are storage boxes & bins. 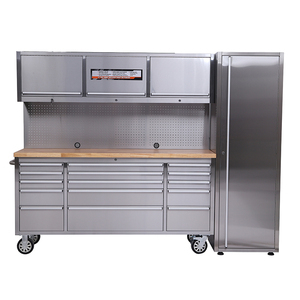 There are 25,440 steel tool cabinet suppliers, mainly located in Asia. 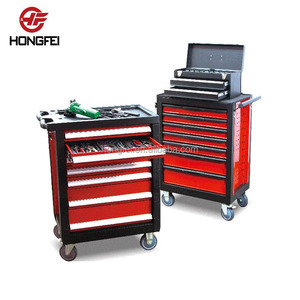 The top supplying country is China (Mainland), which supply 100% of steel tool cabinet respectively. You can ensure product safety by selecting from certified suppliers, including 16,152 with ISO9001, 4,250 with ISO14001, and 2,915 with Other certification.